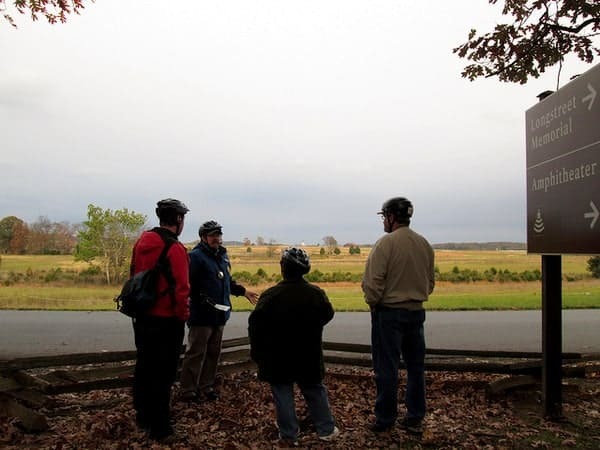 Should You Take a Guided Tour at the Gettysburg Battlefield? There are two kinds of travelers in the world: those who like guided tours and those who can’t stand them. Personally, I fall very heavily in the later group. In fact, I will often go out of my way to avoid guided tours if at all possible. So, when I was invited to join not one, but two, different guided tours at the Gettysburg Battlefield in the same week, I was a bit apprehensive. I mean, I had been to the battlefield so many times and figured I had a pretty good grasp on what happened from the excellent signage that dots the area. Would I really learn anything that I didn’t know before? My first tour was conducted by Gettysburg Segway Tours and featured one of the 120+ Licensed Battlefield Guides that conduct all tours at Gettysburg. While I knew that gliding through Gettysburg on a Segway would give me a new perspective on the battlefield, I never imagined how much I would learn from the guide. 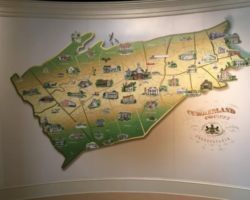 For me, the difference between touring on your own and touring the Gettysburg Battlefield with a guide is like the difference between a fact sheet and a well-written book. Sure, you’ll get the basic information about the battle from the plaques scattered throughout the battlefield, but taking a tour with the battlefield guides paints the pictures, allowing you to see the battle unfold on the ground before you. The guides also have the knowledge to go much more in depth than the battlefield’s signs can. My Segway tour guide told many fascinating stories about the battle and its participants that made me understand the battle with a much higher level of interest. Listening to my guide on my Segway tour of the Gettysburg Battlefield. Suffice to say, I really enjoyed my first guided tour of the Gettysburg Battlefield. However, going back a week later with a few friends, I figured that I might be a little bored. I had just taken a guided tour along roughly the same course. It couldn’t be that different. My second guide, who led us from the comfort of my car, told many of the same stories that I had heard the week before, but by highlighting different aspects of the story, it gave me that much more of an appreciation for the battle. 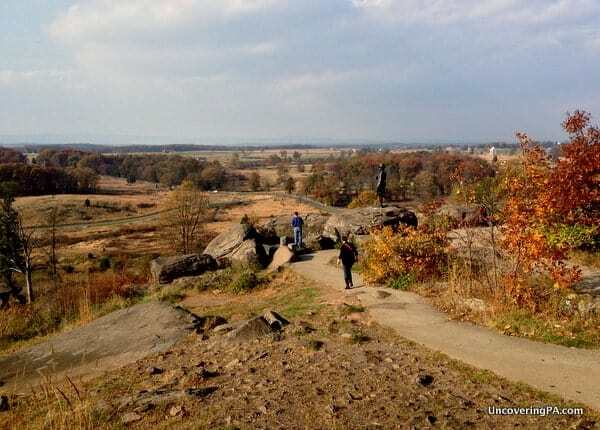 So, should you take a guided tour of the Gettysburg Battlefield? Ultimately, it boils down to this: what kind of experience do you want to have when you visit the Gettysburg Battlefield? If you are fine with just the facts, then save your money and take a self-guided tour. However, if you want an in-depth look into what happened at Gettysburg, I can’t stress enough the importance of a guided tour of the battlefield. 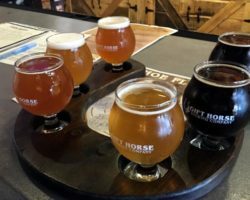 When taking a guided tour, you have several options. If you want to do a standard tour, you can choose to do a large group bus tour or a private tour in your own vehicle. Looking out over the Gettysburg Battlefield from the top of Little Round Top. The advantage of a private tour is that the guide can customize the tour to your interests, even telling you where regiments from your hometown fought. 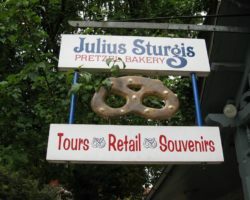 Plus, the private tour has more scheduled stops than the group bus tour. Amazingly, these private tours are ridiculously inexpensive. In fact, if you have between 3 and 6 people in your group, a private tour is much cheaper than a group bus tour. Bear in mind though, that you’ll want to book a private tour at least a few days ahead of time to ensure that a guide is available to take you out. You’ll also need to have at least one empty seat in your car for the battlefield tour guide. 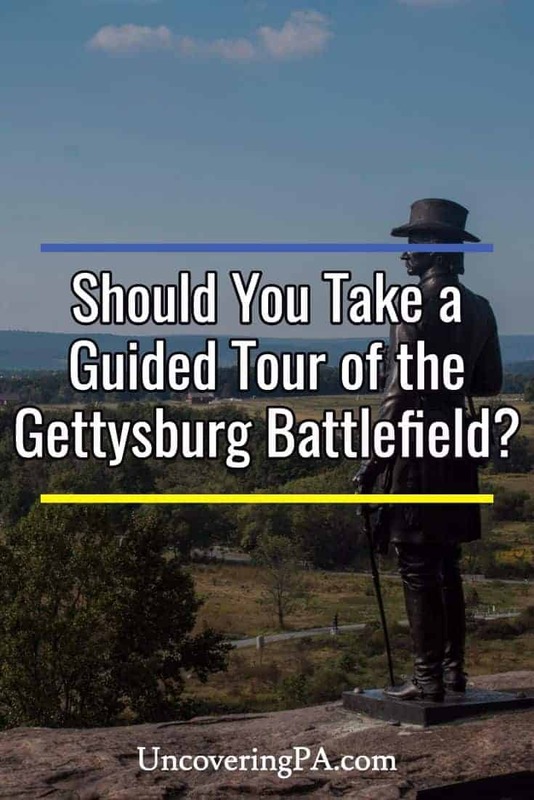 So, while you might be able to tour the Gettysburg Battlefield for free, the inexpensive cost of the private tours make that the best choice for almost everyone. Insider’s Tip: Save $12 on your private tour by booking ahead of time on the Association of Licensed Battlefield Guides’ website. 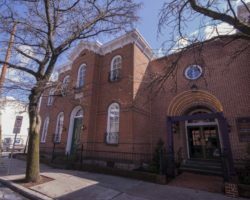 The charge is only $63 for a private tour (instead of the $75 at the Gettysburg Battlefield Visitor Center), making a private tour less expensive for two adults than the group bus tour. Note: Both of my guided tours were hosted by the Gettysburg Visitor Bureau. However, the opinions expressed are my own and were not subject to review. I really appreciated your perspective. While I have been to Gettyburg on several occasions, I have never taken a guided tour. Next time that is what I will do. Definitely gives you a good perspective on the battle, and the prices are quite reasonable. This is a battlefield I would still very much like to visit one day. I think a tour (with reasonable cost) is something which would really interest me. Whilst I know it was a significant battle in the war, in fact the most famous one I don’t know too much on the specifics of the battle. I would certainly benefit from the tour. However, you do say that there are various plaques around the field so maybe I could learn a lot without a tour being available. You definitely can learn a lot from the plaques and signage around the battlefield. However, if you really want to learn about the specifics of the battle, a tour of the Gettysburg Battlefield is the way to go. I’ve been to Gettysburg probably close to twenty times and I have read books on many aspects of the battle of Gettysburg. This past November I went with my father and we decided to hire a tour guide for a private tour of the field. We both felt it was well worth our time and money and plan on doing it again this summer when we go back. That’s great. I’m sure you know more than the vast majority who visit, so if hiring at tour guide is worth it for you, I can’t imagine others wouldn’t learn a lot. Thanks for the comment, David. I just discovered your FB page today and I am finding it extremely interesting. 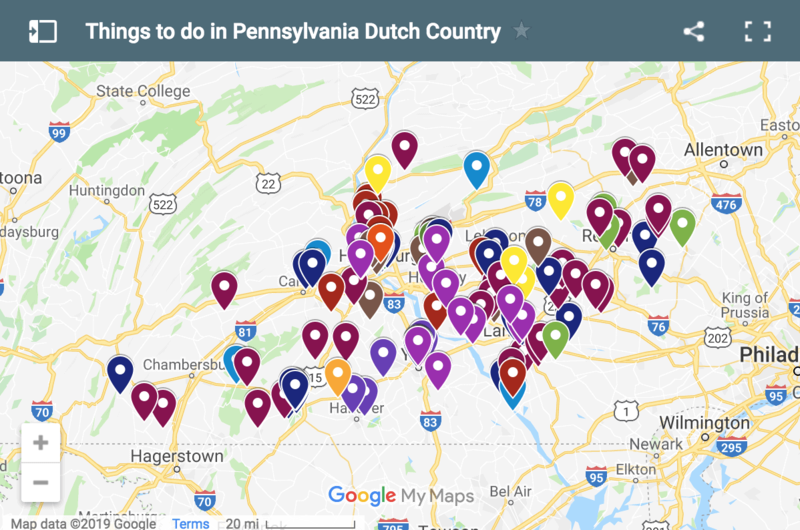 I grew up in South Central Pennsylvania and have been to Gettysburg more times than I can count. 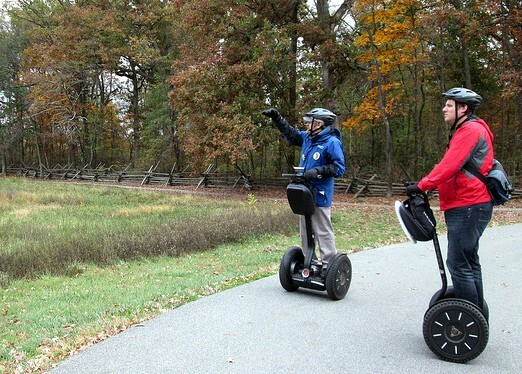 I can imagine that the tours on Segways are a marvelous way to see the battlefield. In scouts, we had to hike much of the battlefield and now, I prefer using a bike. Being out of a car or bus throughout the trip enhances the experience, I find. I have two friends who went through the process of becoming licensed battlefield guides. As one would expect, the training is is exceptionally comprehensive and my friends invested several weeks in the process. They said that the written test was very grueling and that the process is highly selective. All this is said in a way to reaffirm what you said about these guides really knowing their stuff. Thanks for the great FB page and Blog! Over the years, touring on my own, Ive listened in to a number of guides. Some are really good — personable, clear and concise, unbiased. Some are absolutely insufferable — they act as if NO ONE knows anything other than them, they are substantially condescending, and they act as if they are doing you a substantial favor. My recent visit, I asked a guide about the rare, odd Napoleon gun on Seminary Ridge — and was pleasantly surprised when he cheerfully admitted he didn’t know about that gun!! So, yes, some are very good — some are very aggravating — how would one know when signing on a guide? BTW, the guides at Antietam and Vicksburg are universally pleasant and kind while demonstrating a deep knowledge of those fields. That’s certainly a shame that they aren’t all pleasant. Can’t say I’ve ever had a bad experience, but I suppose there are always a few bad apples. I don’t think they are bad, and Ive never used one — I have a voluminous library and the Trailhead Graphics map, plus I am out so early for photography. Plus, Id just argue with them!!! Anyway, the good ones are clearly gold and IM always thankful when people are on the field, learning — esp when they are learning and NOT in my view finder!! Between the Segway tour and the Auto tour, which did you prefer? The auto tour, since your car moves faster, allows you to see more of the battlefield and get a bit more in-depth. However, Segways are a lot of fun and might better entertain those that aren’t interested in the tour. Do they tell you where to go since you are the one driving? This is a new experience for me and I am no familiar with the area. Yes. They will guide you and tell you were to turn, park, etc.